What inspires teens to think and act green? As the mother of a current teen and two former ones, I still wrestle at times with that question. I’ve found that most teens want to do the right thing. Although they may be great at hiding it, they really do look to their parents and other influential adults for guidance. The teen years are about developing a separate and unique identity from parents. A challenge faced by parents and other caregivers is how best to connect with teenagers in ways that recognize their need for autonomy while guiding them towards becoming environmentally-responsible and mindful adults. Below are some ideas for getting there. 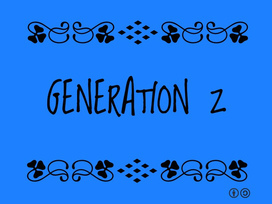 Today’s teens are members of Generation Z. Born after 1995, they represent about 25% of the U.S. population. Recent research has shown that they are pragmatic, digitally hyper-connected, and informed. They are also socially-conscious and entrepreneurial, say researchers. In Jeff’s case, that meant stepping up to serve as advisor for his daughter’s initiative, a high school environmental club, until suitable school staff could take over. “Through my guidance, they were able to accomplish a lot of great things at their school and received a lot of recognition, including scholarships,” he said. Look for opportunities at home to foster your teen’s green side. For example, involve them in brainstorming ways to reduce household and personal energy and water use. Tap into their entrepreneurial side by challenging them to come up with ideas for new green businesses or for greening existing businesses they care about. Encourage Volunteerism. “Service and volunteering is increasingly a big deal for teens. It’s something that they know is important, for example, on college applications,” said Kevin McDonald, a father of two teens. Indeed, the research confirms Kevin’s observation. A 2014 study found 77% of high school students on a national level either extremely or very interested in volunteering. The top three things they reported wanting to get out of it were new skills, work experience, and mentorship/networking. At VolunteerMatch.org, teens and adults can search for volunteering opportunities based on location and interest area. A recent search turned up 60 environment-related opportunities in the Twin Cities area. Hands on Twin Cities is another good source. The organization DoSomething.org inspires teens to volunteer and take action on causes they care about by providing a ton of fun project ideas and information. 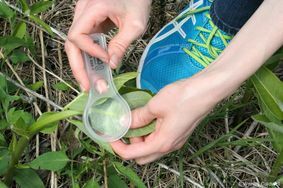 Conservation Corps Minnesota & Iowa offers a few different environment-related service programs for teens age 15-18. Teens in one such program, Youth Outdoors, participate in environmental restoration projects within the Twin Cities. Teens 18 and over are eligible to serve as AmeriCorps members in a variety of settings. Citizen science provides teens with an opportunity to combine volunteerism and the great outdoors. See Living Green 365: Citizen Science for resources and information. Lastly, check with schools, nature centers, park and rec departments, local nonprofits, and local government offices for leads and information on volunteering. 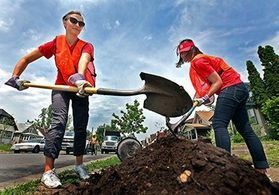 Earth Day, Arbor Day, and similar events often provide many volunteering opportunities. High school environmental clubs like the one that Jeff’s daughter started are another good option. Additional Resource: WaysToHelp.org exists to engage, inspire and enable high school students to make a positive difference in the world. It does this by making it easy for them to learn about, and take action on, sixteen of today's most pressing social issues as well as providing teens & schools with toolkits to improve in-school food and volunteer drives. WaysToHelp.org offers grants (up to $500) to teens in the U.S. to to fund their community service ideas across any one of 16 issue areas, including clean water, land preservation, global warming and recycling. Expose them to Nature. Exposure to nature can result in a lifelong interest in environmental protection and conservation. Invite your teen to go on nature walks and hikes, biking, camping, fishing, canoeing, and similar. Involve them in planning outdoor activities that the family can do together. Need to sweeten the deal to gain your teen’s participation? Encourage/allow her to invite a friend along. For additional inspiration and ideas, check out familiesoutdoors.org. Encourage biking/walking. For many teens, learning to drive a car is a rite of passage. Parents may find themselves under increased pressure to hand over the keys. Chat with your teen about the environmental impacts of driving. Encourage him to bike or walk to activities and places that are within a reasonable distance. Teach her how to take the bus or other means of public transportation (for the Twin Cities area, click on "How to Ride" at metrotransit.org). Consider meeting your teen halfway when the opportunity arises. “I told my 15 year old son that I would buy him any bike that he wanted, an IPhone 6, and a bus pass if he would agree to wait until he’s 18 to get his driver’s license,” said Ned. Given the costs of insurance, gas, vehicle wear and tear, and the many environmental impacts of driving, this type of “negotiated settlement” can potentially be a win-win. Plug into their digital world. Smartphones. Gaming systems. Tablets. Laptops. Teens love their gadgets, and being “connected” is virtually a requirement anymore. Unfortunately, the same devices that they adore can be huge energy wasters. Lots of devices use power even when they’re in standby mode. Ask your teen to unplug her digital devices—and their cords—when they’re done charging. Where possible, install advanced (aka smart) power strips in your home. Limit cell phone upgrades. Cell phones require a lot of energy, water, and resources to produce. Require teens to purchase their own devices—they'll probably value and take better care of them if their own money is invested. Tap into their "techie" sides and save energy by considering such things as solar backpacks and solar chargers. Involve teens in doing research to find the best products. Get Loud. Has your teen heard of the "Get Loud" competition? It's a joint effort of NextGen Climate America and the Alliance for Climate Education to engage and empower young Americans to take civic action online and in their communities to combat climate change.Teens earn points and potential prizes by taking highly-visible online and offline actions, sharing content, and recruiting other teens to participate. Listen, Acknowledge, Engage, and Empower. One of the great things about teens is that they’re not yet adults. They are still forming opinions and behaviors and absorbing information that will guide them in their adult years. “Teens are sensitive about the increasing amount of news regarding the potential for environmental collapse”, said Kevin. " They can find it overwhelming and depressing," he added. Yet, says Kevin, it's still important to talk with teenagers about environmental issues, even if it's in small bites. Look for opportunities to engage them in conversations about environmental topics and issues. Ask for their opinions and ideas. Encourage them to be creative problem-solvers. Point out how personal choices (purchasing, transportation, energy use) can have an impact, and what they can do to make a difference. Looking for guidance? The Alliance for Climate Education offers parents and educators some excellent resources for talking with adolescents about climate change. DoingGoodTogether.org has activities, book lists, and discussion questions for families. For their earth-themed list see http://www.doinggoodtogether.org/bhf/heal-the-earth. Additional Resource: Consume This - Buying That Matters. This 40-page booklet from the Canadian Centre for Pollution Prevention is aimed at 14- to 18-year-olds. The information and resources provided in the booklet focus on sustainable consumption and help to raise awareness among youth about the effects that their choices have on the environment. Issues addressed in the booklet—including resource conservation, consumer behavior, and environmentally friendly production—are presented in a manner relevant to teens. Examples such as "The Life-Cycle of a T-Shirt", "What's in a Soccer Ball", and "How to Pack a Litterless Lunch" introduce young people to the concept of sustainable consumption using a practical and relevant approach. To download a free PDF of the publication, visit www.mysustainablecanada.org. Compost Bins & Rain Barrels. This spring, the Recycling Association of Minnesota (RAM) is partnering once again with cities and counties throughout Minnesota to bring residents affordable rain barrels and compost bins at greatly reduced cost. Residents can pre-order products for pickup on the date and location of their choosing. For more information or to order, see Recycle Minnesota. Outdoor Family Expo. Studies show that being outdoors is good for your health and contributes to positive attitudes. Come to the Outdoor Family Expo to learn tips and tricks for enjoying the outdoors, and discover all that Minnesota has to offer! There will be learning stations for all ages, from examining live fish and tying jigs to trying out binoculars, setting up a tent, nature play, hiking and biking info, and outdoor summer sports and recreation. Saturday, April 16, 2016, 10:00AM - 2:00PM at the Maplewood Community Center. Urban Waters Forum. What is your connection to your local lake or stream? You can play an important role in keeping that lake or stream clean! On Saturday, April 23rd, from 8:30AM to 12:30PM, come to the 2016 Urban Waters Forum at the Minnesota Landscape Arboretum and learn from local experts as they share their knowledge and success stories. Participants will receive concrete actions they can take on the water, on their properties and in their communities to protect the health of local lakes and streams. For information on event cost and registering, see Urban Waters Forum. Earth Day 2016. Earth Day is just a few short weeks away and there are plenty of opportunities for individuals, groups, and families to observe, participate and celebrate! All of the following take place on Saturday, April 23, 2016. 30th annual St. Paul Citywide Spring Cleanup,9AM—11:30AM. Volunteer to clean-up litter in St. Paul parks and neighborhoods. Register at stpaul.gov/citywidecleanup. Minneapolis Earth Day cleanup in the Minneapolis River Gorge, 9:30AM—12PM. Join with people from throughout the local river corridor, neighborhoods, and the metro area to celebrate this Earth Day tradition and contribute to the health and vitality of the Mississippi River. This is a family-friendly event. Sponsored by Friends of the Mississippi River. Minneapolis Earth Day Watershed Clean Up, 9:30AM—12PM. This annual event involves cleaning Minneapolis parks, neighborhoods, watersheds and water bodies. Family Earth Day Celebration,10AM—12PM, at Wargo Nature Center, Lino Lakes, MN. Learn about Wargo’s native gardens and bees; and make your own earth art project to take home. Visit the Earth Day Fair, where local organizations will provide information and businesses will showcase earth-friendly products! For additional information on Earth Day events taking place in Minnesota, visit SEEK (click on calendar) and the Earth Day Network. Rochester EarthFest Expo. Sunday, April 24th, 2016, 10AM—4PM, Mayo Civic Center Auditorium. The goal of this free event is to promote sustainable living through education, interactive displays and promoting green products. The Expo is the grand finale of a 7-day EarthFest celebration. More info at Rochester EarthFest Expo.